Would you try it in your next cocktail? While insects are eaten by two billion people around the world, the practice hasn't quite made it to the U.S. It's traumatizing to see a cockroach in your apartment, let alone roast it over an open fire and eat it. Yet one Bushwick company is trying to change our perception of eating bugs. 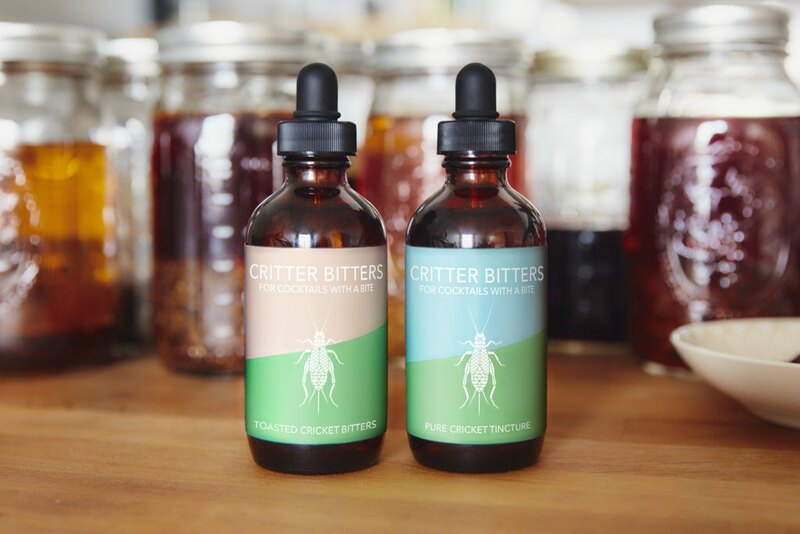 Say hello to Critter Bitters, a new venture that takes crickets and makes them into delicious bitters to add in cocktails. 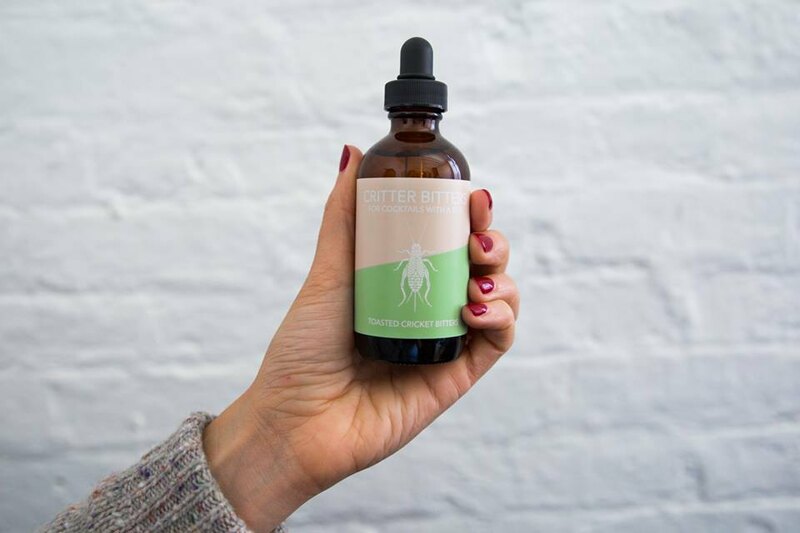 Started by two Bushwick women out of their apartment, Critter Bitters is currently raising $21,000 on their Kickstarter to jumpstart the company and start selling locally. So far they've raised more than $19,000. 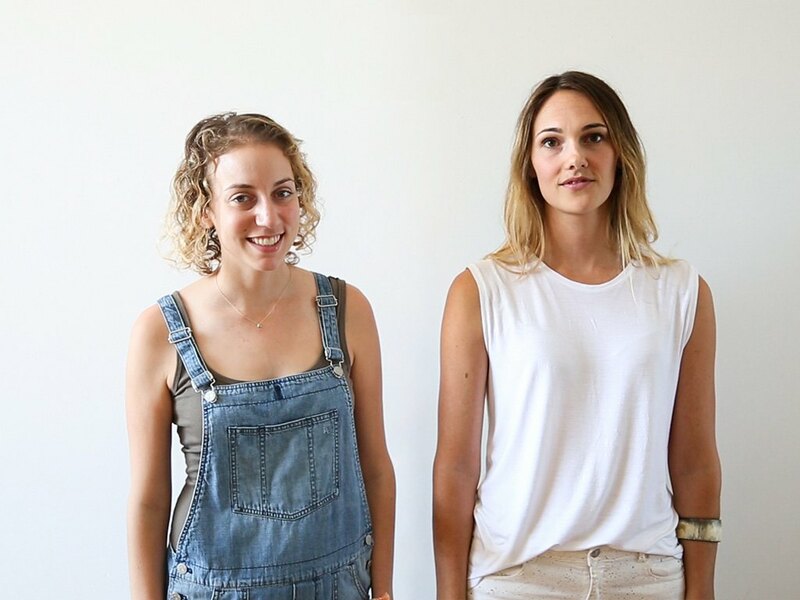 Julia Plevin and Lucy Knops, graduates of The School of Visual Arts with degrees in Products of Design, were inspired by a 2013 report by the United Nations’ Food and Agriculture Organization, which suggested eating insects as a solution to the growing world population and food shortage. 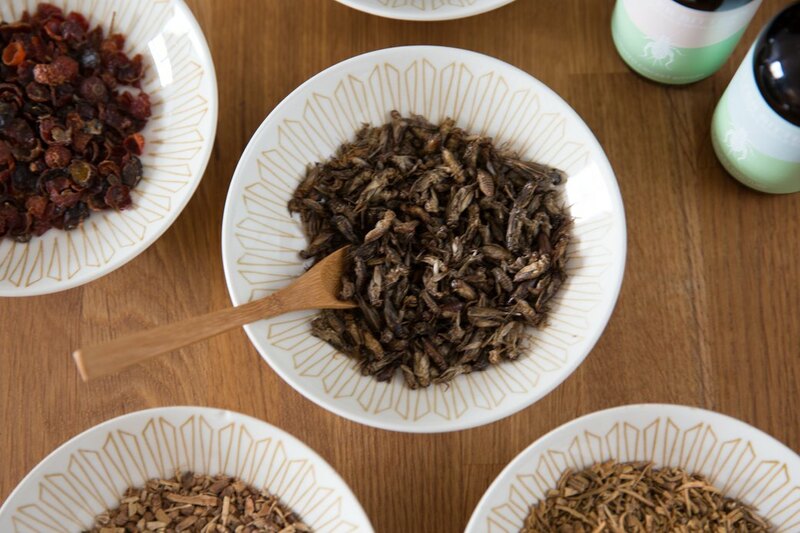 "Eating insects - known as entomophagy - is good for the planet. It's good for your health. And it's a great conversation starter at the bar," say the duo in their Kickstarter. They created the initial prototype during their first semester at SVA, but only really started making things happen this summer after graduating. "With this project, we set out to change attitudes in our own community towards consuming insects. Cocktail culture is one where people are readily open to try new things," says Lucy. "As a bartender, I’ve worked around incredibly creative chefs and fellow bartenders who are constantly experimenting with new ingredients and techniques. With bitters, you are basically pulling all of the flavor out of an ingredient." So far, Julia and Lucy have produced two flavors of Critter Bitters: Toasted Cricket Bitters and Pure Cricket Tincture. They use a Texas distributor for the pre-roasted, food-grade insects and are hoping more insect distributors start popping up in the U.S. 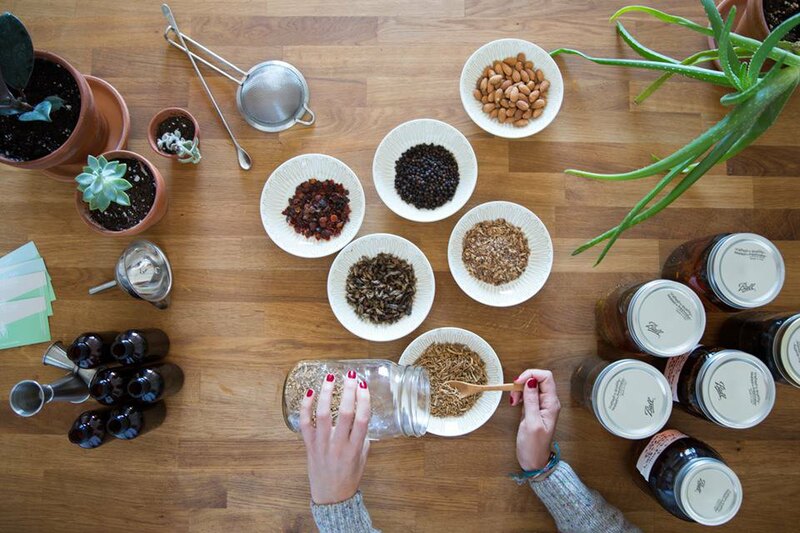 While they initially began making the bitters out of their Bushwick apartment, Julia has since moved to San Francisco while Lucy continues production on the East Coast. Even though they live on opposite sides of the country, Lucy says there are benefits of not being in the same physical space, including the potential to expand Critter Bitters into two cities. For now, these young, ambitious entrepreneurs are gearing up to make Critter Bitters more than a dream project. "The money we are hoping to raise through Kickstarter will help move forward with that process. The first step is scaling up and moving our production out of my apartment!" Help Critter Bitters reach their goal on Kickstarter and pre-order a bottle for $30.